For food photo shoots a broad range of props are available including choice of crockery, work surfaces, cutlery, containers and fabrics. 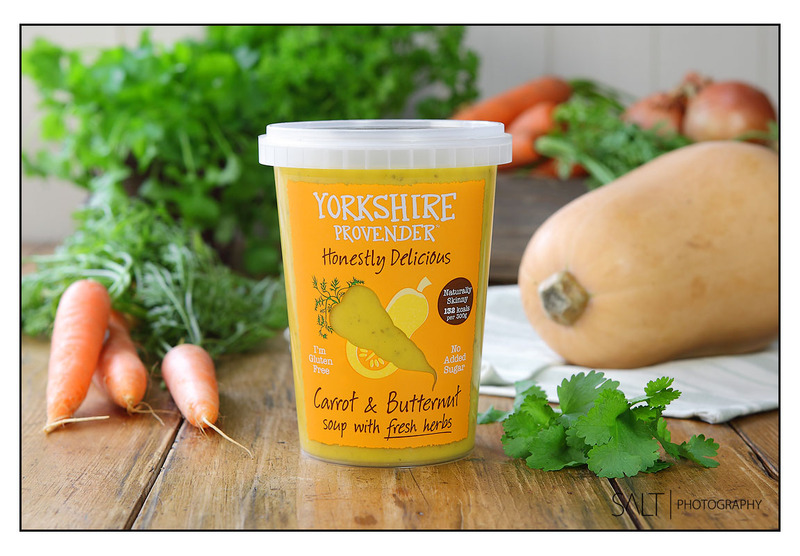 This enables the feel of the shots to be styled and refined to the requirements of the client and the food products that are being photographed. 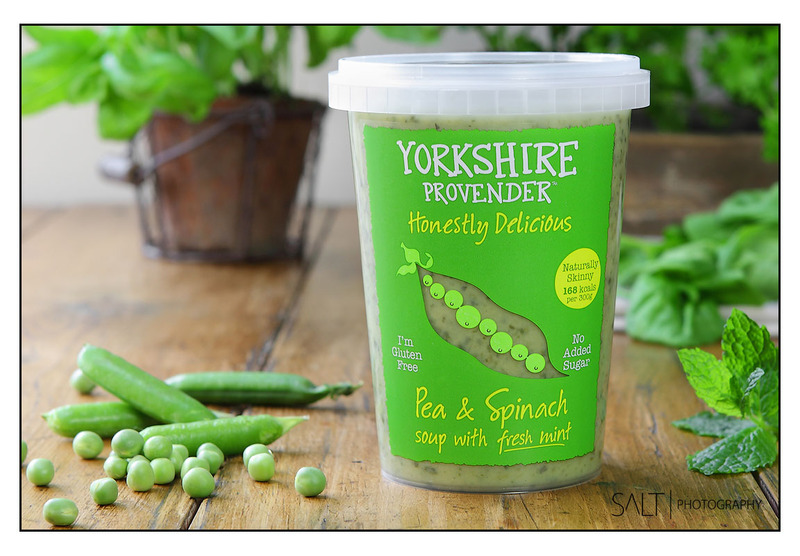 Yorkshire Provender required images combining the main fresh herbs, vegetables and ingredients that go into the soups. 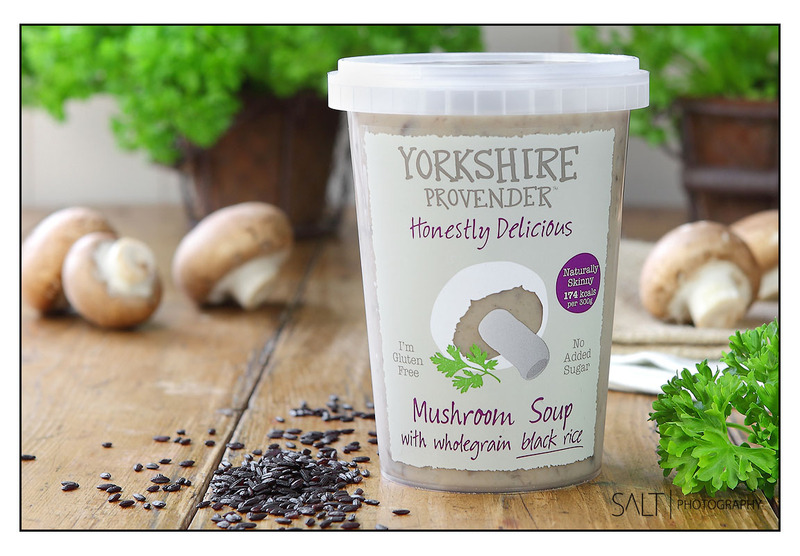 These ingedients had to 'frame' the soup pots composition but not distract from the product packaging and labels. The background to each setup is put out of focus but still gives a feel for the natural ingredients. The other important requirement for these photo shoots was that the lighting had to be natural light to get away from the sharpness and brightness of a studio lighting setup. 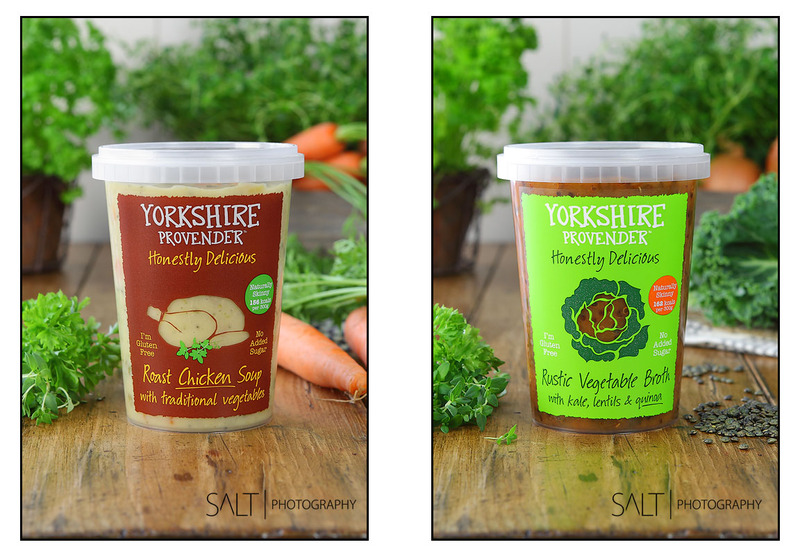 FOOD PRODUCT photography in Harrogate, Leeds, York, Wetherby, Ripon, Thirsk, Ilkley, Otley, Bradford, Skipton, across Yorkshire and the UK. All Rights Reserved. 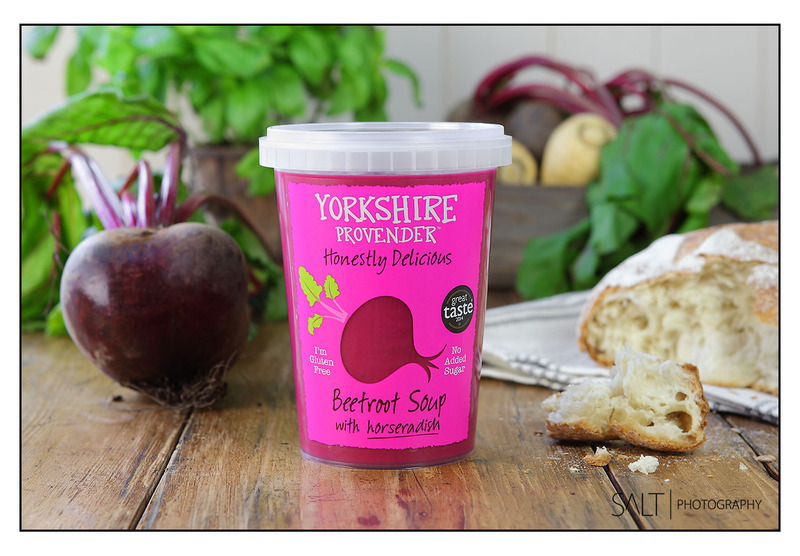 All Content & Images © Copyright 2019 Philip Taylor/ Salt Photography in Harrogate - Food Product Photography in Harrogate, Leeds, York, Skipton, Ripon and Bradford.